Let me start this the same way I do every time I talk about our animals: I am perfectly aware that Sean and I are nuts to have five animals, and that we are certifiably insane to have five animals and then live the Foreign Service life. I get it. I don’t need anyone to tell me life would be easier if we didn’t have so many, or if we didn’t do what we do with our lifestyle. None of that matters to me. These two facts coexist: 1) we have five animals, and; 2) Sean’s job involves moving internationally every 1-3 years. The other reality of this situation is it really isn’t a problem in our day to day life. We love them. They are our babies. And yes they are expensive, and yes they take up a lot of space, and, yes, at any given moment all five of them want your sole attention so they end up climbing on you like a human jungle gym. We’re fine with it. When we moved from Dushanbe to Maryland we really felt like we had mastered the insanity of moving them. Stack the crates, put Soya in with Iz while we wheel them around the airport, rotate bathroom breaks, kitties go in their carriers, and we ourselves pack as lightly as possible. I even mentioned last year that the trip home was crazy but not horrible. We expected the same to be true when we moved to Tbilisi. But, of course, a lot happened in a year. I’m now going to try to paint an accurate picture of our experience using an International Pet and Animal Transportation Association (IPATA) approved shipper. And please keep in mind, this is coming from two people who love our furry babies like family. I want to give them everything. All of them are rescues and now that they are in their forever home, I want to spoil them as much as I can. I want only the best for these animals. When we moved home from Dushanbe, we were able to book the dogs as excess baggage. We dropped them off at the airport, picked them up and rechecked them in Frankfurt, and received them in Dulles. They were on the same planes as us. We were able to make sure they were fed. We were able to make sure their leashes and collars didn’t get lost. We were able to give them bathroom breaks. Since last summer, things have changed and a lot of airlines now require you use a pet shipper and they must be booked as cargo. 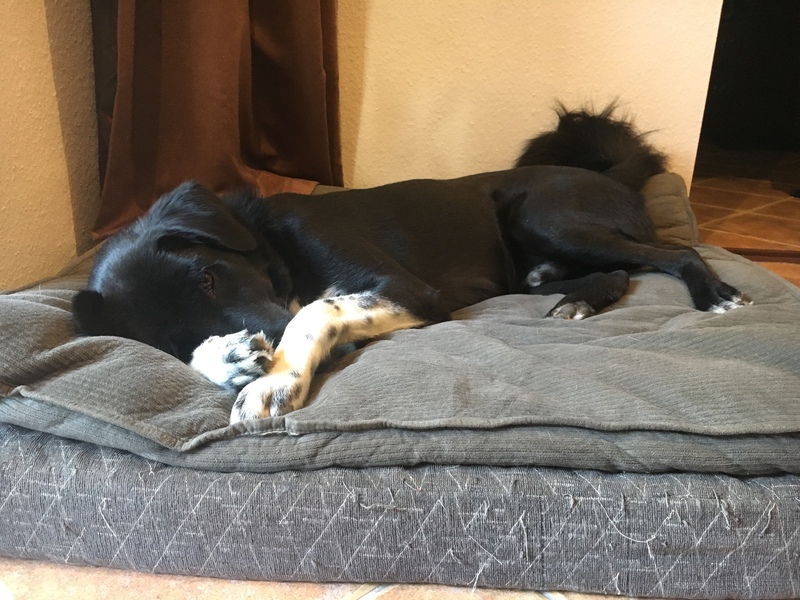 Initially, in my mind, there are a lot of pros to having someone else deal with the dogs: we can focus on ourselves and the cats, we could have an extra suitcase for our journey since we didn’t have to transfer them from airline to airline, someone else would deal with drop off and pick up. Yes we would have to pay all the administrative fees which annoyed me, but fine. You guys do the hard part. This quickly turned into a nightmare. I’ll spare you the details of the weeks leading up to the decision to use a pet shipper because this post would be extremely long if I say it all here, but let’s leave it at this: if there are 10 steps to PCSing, and you can’t move on to step three until step two is done, our paperwork got stuck at step two (THANKS DEPARTMENT OF DEFENSE) and this prevented us from getting our passports, visas, and airline tickets in a timely fashion. We had to rush everything. Now, to get to Georgia, we had to go through Europe. This meant we had to comply with European Union and Georgian rules with importing your pets. Fine. The issue here is we couldn’t book a vet visit until we knew when we were flying, and we didn’t know when we were flying because we didn’t have our visas because our paperwork got stuck. Oh. And since we were going through the EU, we had to get the animals’ health certificates certified by the USDA. But of course, you can only get the international health certificate 10 days before you fly, which gives you 10 days to get it certified before you leave. And there isn’t a USDA office in the DC area. It took a trip down to Richmond for one, and round trip overnight postage to Albany for the others It was a pretty frantic week. On Friday, June 22 at 7:20 p.m. we had the vet visit for Dottie, Izzie, Soya, and Ren. (Nona was flying with Sean on Sunday so we did her vet appointment on Thursday.) Up until that point our shipper, Capital Pet Movers (CPM), had been responsive, helpful, and we felt confident using their services. They told us earlier in the week that the three dogs would leave together on Wednesday, June 27 on the Lufthansa flight to Georgia through Munich. Since the international pet certificates allow up to five animals to be on one form, we asked our vet to put the three of them together. At no point did CPM advise us to put the dogs on their own health certificates. This cut down on administrative fees we’d need to pay the USDA. Perfect. 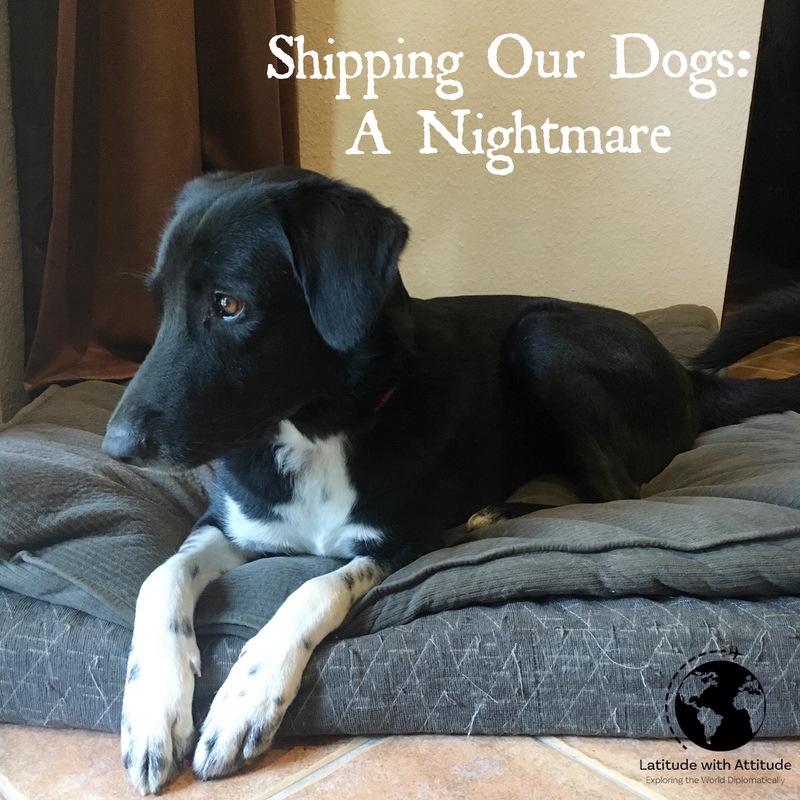 What we didn’t know was earlier that day, before we went to the vet, Capital Pet Movers found out that Lufthansa would have to bump one of the dogs off the June 27 flight. This started the chain of events that caused Ren to be separated from us for about a month. When we found out on Monday June 25 that we would need to separate them, I said Ren was the best candidate to be on his own. He’s kind of a lone wolf in our house, and tends to just kind of roll with the punches. Soya would have been a nervous wreck if she had been away from Izzie during all this, so he was our only option. Now, our contact at Capital Pet Movers said they tried everything they could to get Ren on the June 28 flight to Georgia, but I have a hard time believing her since she never gave us details of what “trying everything” meant. Since Ren was on the same health certificate as the girls, he would have to fly with a copy instead of the original paperwork. This apparently was unacceptable to someone along the way. We worked out that Ren would stay at their boarding facility until he could get on a plane. We would also need to redo all his vet paperwork since it was going to be outside the 10-day window. So all that money on the vet visit, overnight shipping to Albany and back, down the drain. Great. But what choice did we have? On June 27 CPM came to pick everyone up from our house in Maryland. I held it together as I took off the girls’ collars and packed them in my backpack so they wouldn’t get lost in transit. After they drove away I reminded myself that the girls would be in Georgia by the time I arrived, and Ren would follow in about a week. Our family would be back together by next weekend. How stupid of me to be so hopeful. Ren was then scheduled to leave on July 8 on the Lufthansa flight through Munich. On July 2 we received an email from CPM that Lufthansa suspended all pet travel from July 3-18 due to extreme temperatures. The email was very vague. I sat up in bed and started scream crying that we were never going to get our boy. After more emails with slow responses from CPM, we found out that the heat embargo was due to temperatures in DC, but they were “diligently working on finding alternate ways to get Ren to Tbilisi,” but still didn’t give us concrete details to what that meant until we pressed further. One issue with Ren is his crate size. When we moved to Maryland we shipped him in a crate that was far too small for him. I knew it. Sean knew it. The random baggage handler I almost got into a fight with knew it. I hated it. But Tajikistan didn’t have anything available on the local economy, and this boy simply would not stop growing. He made it to the U.S. fine and I promised to never put him in such a small space ever again. Now, Ren and Izzie are what I’d call medium-sized dogs. Ren is 70 pounds, and Izzie is 55 pounds but she’s tall. According to IPATA, we needed to put them in the #700 series crate. If this isn’t the definition of excessive I don’t know what is. I’m 5’10” tall, and I could sit fully upright with my legs completely extended in this crate. Put together, it did not fit through our front door. It’s ridiculous, but part of me was happy to know they would be more than comfortable during their journey. However, this gigantic crate only fits on certain models of planes, so after our personal attempts to book him on different airlines (since we weren’t satisfied with the answers we were getting from CPM), it became clear we would have to wait out the heat embargo. This meant we would have to pay for all those extra days of boarding and redo the vet visit/health certificate for now the third time. I was livid. Since CPM failed to tell us on June 22 that we needed to separate them, and since they never advised us to put them on different health certificates, we had no choice but to live without our boy for an additional two weeks. To date they have never apologized or accepted any blame for the situation. I think if they had owned up to the mistake immediately I wouldn’t even be angry with them. Things happen. I understand that. But failing to give us all the information is what started all these issues. At this point I’ve accepted that they will never comprehend any wrongdoing on their end and I have to let it go. On Friday, July 20, I was finally reunited with my boy. He arrived in Tbilisi at 5:45 a.m., but I was not able to pick him up until about noon. For those six hours he was going through customs clearance. It was the longest six hours of this entire ordeal because I knew he was in an unconditioned warehouse at the airport, scared and confused, and there was nothing I could do. When I finally got to see him, I nearly climbed into the crate with him. It was the happiest I’d been since we arrived. I wish the frustrations ended there. I’m not sure he had any water during his trip, and I’m almost positive he wasn’t fed at all. The two bags of dog food IPATA and CPM say are needed to transport him as far as we did were taped to the top of his crate, unopened. And when I say “his crate” I don’t mean the crate we bought him with his cozy bed to keep him comfortable during transit. I mean the nearly identical one he arrived in without his bed and with different water bowls than those I dropped off with CPM on June 27. They couldn’t even get that simple part right: ship the dog in the crate he arrived to the boarding facility with. I doubt we’ll see his bed again. After this ordeal it’s safe to say we absolutely do not recommend CPM to anyone. Ever. Before I wrap this up, here are a few final thoughts about what seems to be the USDA/EU/International Health Certificate scam. I’d be perfectly happy to follow all the rules if someone, ANYONE, took a second to actually LOOK AT THE PAPERWORK. This is our third move. No one looked at anything on our way to Tajikistan. On the way home we arrived to Dulles with two Tajik dogs that had never seen a Western veterinarian, we even declared them on our customs forms, and everyone laughed and waved us through. No one looked at Nona’s paperwork when she was with Sean, and no one asked for Dottie’s when she flew with me. I even asked several people in Dulles and Munich “do you need to see her health certificate? !” and every time I was told no. I can’t say if anyone looked at the dog’s paperwork this time, but I’d be willing to bet the answer is no since it was taped down to their crates on all sides when they were returned to us. What’s the point, then? It feels like a lot of money and headache and stress and worry for no reason. Someone, please, tell me I’m wrong. Tell me there’s a good reason no one looks at our paperwork. Please, I beg you. Now after all that, I am happy to report that after a day of being shell-shocked and sleepy, Renny seems to have returned to his usual happy self. He’s eating and drinking normally, playing with his sisters, and loving on his parents. He’s such a good boy. I’m so glad Ren finally made it to you, but while reading this I was horrified with the ordeal the poor guy was put through! That organization is horrible!